Free video bass lesson on pentatonic scales for bass with tab and video.. 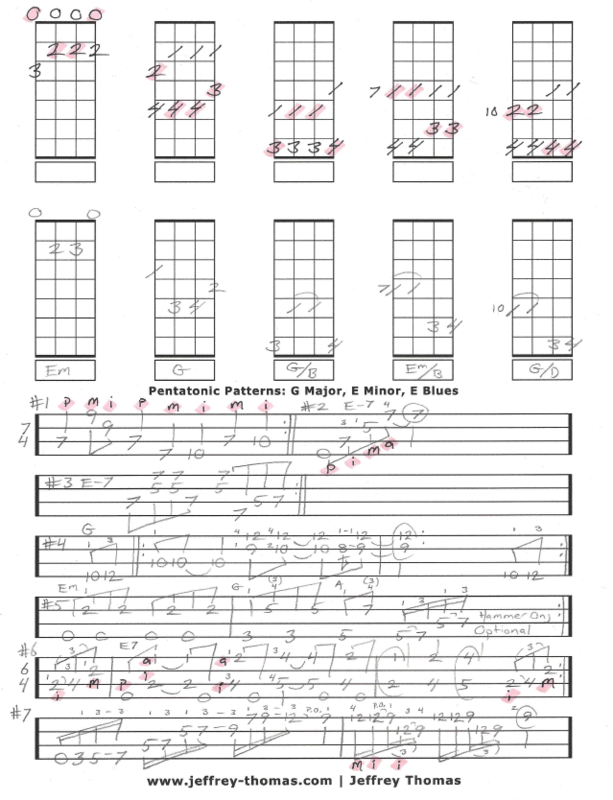 Learn to play all 5 pentatonic scales placed on the bass with chord shapes in this lesson. The lesson provides great technique and practice tips for bass players of all levels. Want the bass tab for free? Just send in your email address using the form provided. Looking for online bass lessons? Fill out the Schedule A Free Lesson form to set up your free Skype bass lesson today. From punk to country pentatonic scales are very important for bass players. Make sure to check my online bass tab archives for more cool, unique bass material.